Glo Minerals has been so generous to me over the years and I have written honestly about my appreciation for both their makeup and skin products. This collection for Spring '17 is right up there with my favorites. It's called Full Bloom and is one of three limited edition color collections, with a nod towards metallic blends and peach tones. Because I have light skin but dark features, the collection really enhances my lips, cheeks, and eye color. Each kit comes with a card that explains how to apply each of the products, so for the purpose of this post, I decided to follow the directions on the back. I used the entire cream shadow stick all over my lid, and even dabbed a bit on my brow bones and blended it out. I then applied all four of the shadows on my lids, using the dark dusk color as a liner. As usual, the shadows are all finely milled, pigmented but easy to blend, and very soft. They also have a satin finish, which I prefer. Matte can look too drying, while shimmer can look too tween so satin is the perfect in-between. However my favorite products from the collection are the cream blush in Fig, and the gloss in Pueblo. The blush gave me pause because it looks so dark in the pan, but it really comes across as the perfect peachy glow. And the gloss! The gloss is non-sticky, moisturizing, and the perfect peach. It's my first go at trying either of these products from the line but it won't be my last. 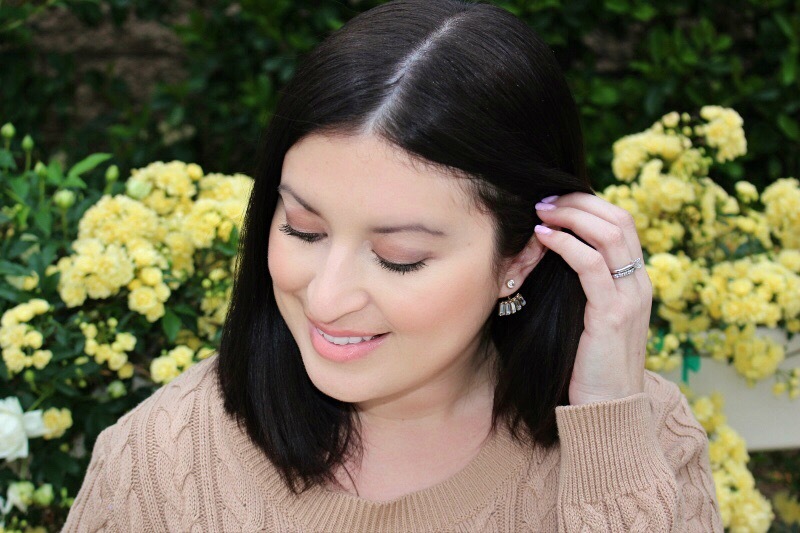 When I think of Spring makeup, words like "fresh", "youthful", and "glow" come to mind. I like my makeup and clothing to match all of the beautiful greenery and colorful flowers around me. I think it's safe to say that this kit encompasses these quite nicely, and you'll be seeing this look on my face a lot! As usual, Glo was kind enough to send me these products but all opinions are my own. How do you like to switch up your makeup for Spring? these colors look amazing on your skin. I would somehow manage to make myself look like I got a black eye because that is my secret power with makeup! lol I doubt that Alissa! I usually just do a wash of color on my lids, and a slightly darker shade in the crease. I like lighter makeup! I'm loving that blush- so pretty! The whole look is gorgeous, doll! That lip gloss is gorgeous! Are your lips natural? These colors are stunning on you! 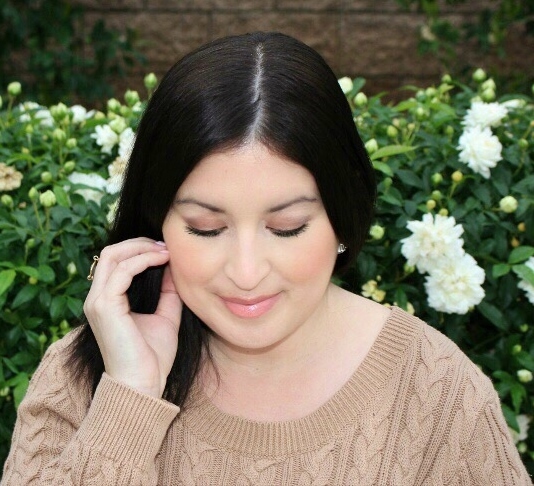 The blush is the perfect peachy color for spring and summer! I absolutely adore that blush on you - it translates into such a gorgeous colour! I totally want to try it! Oh what a gorgeous collection and an even more gorgeous girl! But seriously, you are beautiful. That gloss is amazing on you babe! Happy Friday friend. These products are just so flattering on you! You really do have such luminous skin and a youthful glow...and I'm not sure it can all be attributed to the cosmetics, although the pretty colors certainly enhance your beauty in the best way!